The PSL showdown between Chiefs and Pirates plays out again at FNB Stadium on the 4th of March. The intense rivalry has seen the Amakhosi dominate in recent Soweto Derby’s but the Buccaneers are sure to make their presence felt and capitalize on their good run of form this season. 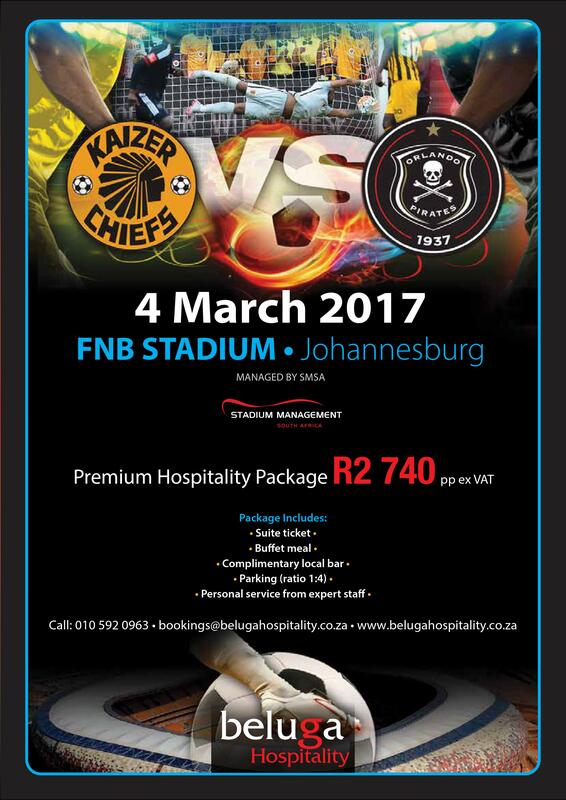 Come witness the Super Diski, Makarapas and Vuvuzelas from Beluga Hospitality’s premium suites. Your VIP Soweto Derby seat is just a click away.